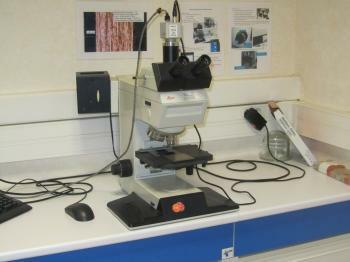 Preparation and surface characterization of samples at room temperature (metallography). Sample preparation means: coating, cutting, mechanical polishing, chemical mechanical polishing, vacuum oven (for samples with diameter Φ ≤ 50 mm). Sample analysis means: optical microscope (accuracy up to 1 µm), microdurometer (maximum load of 2 kg), glossmeter, endoscopes, precision weighing scales. 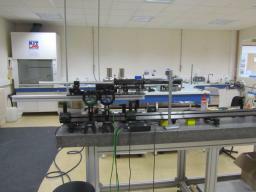 LabCaS devices are used in the framework of both projects and R&D activities. The LabCaS is generally involved in the early stages of projects. After preparation and initial analysis in the LabCaS, samples can be transferred to the Characterization Laboratory at Cryogenic Temperature (LabCaF) or to other laboratories of the common platform CEA-CNRS (PANAMA-AccelTech) where they are then characterized with several other techniques. LabCaS devices also allow to control the quality of samples, detect possible technical problems and investigate their origins: for example, one can check weld quality or seal hardness. Open access platform. Possibility of training prior to the use of devices.